Raspberry Pi, $35 Credit-Card-Sized Computer, Begins Shipping! It’s obviously not top-of-the-line, but if you’re a tech tinkerer, you’ll be happy to know this can strut its stuff alongside any other comparable machine. And it can even connect to TVs for some Airplay goodness. 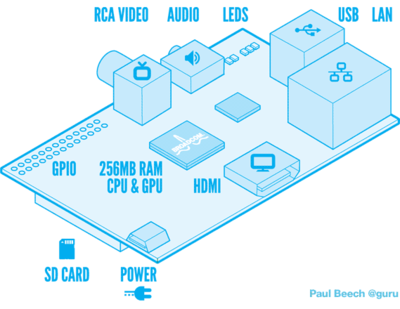 Mostly though, the Raspberry Pi PC will come in extremely handy for educational purposes. For more info, you can check out Raspberry Pi online here. OXFORD, England–(BUSINESS WIRE)–RS Components (RS) and Allied Electronics (Allied), the trading brands of Electrocomponents plc (LSE:ECM), the world’s leading high service distributor of electronics and maintenance products, are commencing shipments of Raspberry Pi, the credit-card sized computer board designed to seed a new generation of programmers. The shipments are being sent to the first group of customers from around the world, all of whom registered for a Raspberry Pi from RS and Allied. When ordering Raspberry Pi from the dedicated online store, customers can click through to the associated parts and accessories required for activation of the board. These include USB A-B cables, HDMI cables, power supplies and SD memory cards from a range of leading suppliers, all available to purchase from stock. By ordering these cables and other accessories from RS and Allied at the same time as the Raspberry Pi board, customers can make a saving on the delivery cost, as the same total shipping charge is applicable. RS and Allied are currently developing a variety of tools and initiatives to support Raspberry Pi users and the companies’ DesignSpark electronics design community is seeing many people discussing ideas and thoughts on Raspberry Pi. 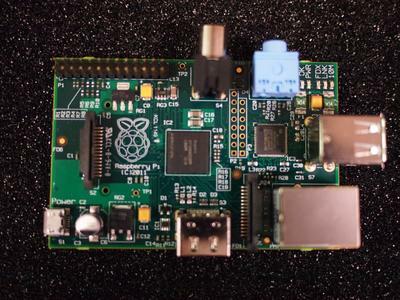 Recent additions to the site include a series of Pi Perspectives, where leading UK academics and scientists share their views on Raspberry Pi, and information on a Raspberry Pi experimenter’s kit now being developed. Various tutorials covering everything from initial set-up to a guide to the different Linux flavours, including a Fedora Mix start-up guide, are also available. For developers, there is the free schematic capture and PCB layout tool from RS and Allied, DesignSpark PCB. It has already won awards from across the globe, and the company is seeing more developers adopt it with some already creating prototyping boards to use with Raspberry Pi. The Raspberry Pi boards from RS and Allied are priced at £21.60 plus a shipping charge of £4.95 to any destination worldwide, plus VAT and import duty as applicable. The Raspberry Pi board was created by the Raspberry Pi Foundation, a charity based in Cambridge, UK, and was conceived to encourage and enable children to learn and apply computer programming.